According the Times report a group of international businessmen assisted then deputy intelligence chief Ahmed al-Assiri (recently sacked over the Khashoggi murder) in shopping around the plan to private contractors and Western allies, specifically the United States, and ultimately aimed to "assassinate Iranian enemies of the kingdom" and try to "sabotage the Iranian economy". The Times identifies George Nader, a Lebanese-American businessman, and an Israeli named Joel Zamel, who has close ties to Israeli intelligence and owns a company called Psy-Group, as a couple of the key businessmen who attempted to move the plan forward. Notably both are witnesses in the Mueller investigation, but it's unclear if these late breaking revelations have anything to do with the probe. 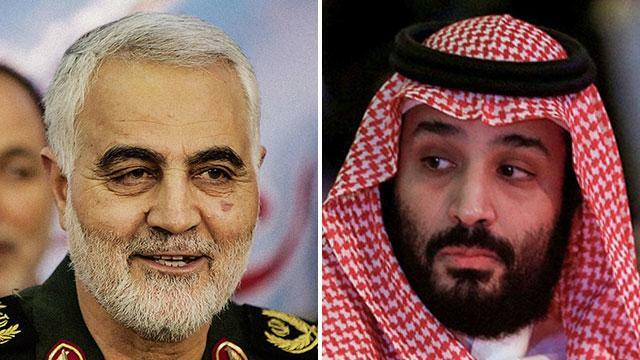 Interestingly the pair had been deeply involved in "an ambitious campaign of economic warfare against Iran" since at least 2016, when they "sketched out operations like revealing hidden global assets of the Quds force; creating fake social media accounts in Farsi to foment unrest in Iran; financing Iranian opposition groups; and publicizing accusations, real or fictitious, against senior Iranian officials to turn them against one another," according to the Times report. And further George Nader is a known adviser to the UAE crown prince — a country at the forefront of executing the Saudi coalition war on Yemen. New York Times photo: "George Nader and Prince Mohammed. Mr. Nader arranged meetings between private companies and Saudi officials." While it's unclear the extent to which the ambitious plan was ever put into motion, a number of journalists and analysts have connected it with last month's bombshell revelation that Green Beret, Navy SEAL, and CIA paramilitary veterans were hired under the aegis of an American based security company called Spear Operations Group to become what a BuzzFeed exclusive described as the private "murder squad" for the United Arab Emirates (UAE) and its de facto ruler, Crown Prince Mohammed bin Zayed Al Nahyan (MBZ). Starting in 2015 the UAE sent a group of about a dozen mostly American private contractors to Yemen to conduct targeted killings of prominent clerics and political figures who had run afoul crown prince MBZ in the war-torn country, where the Emirati military has played a lead role in the ongoing Saudi coalition bombing campaign. 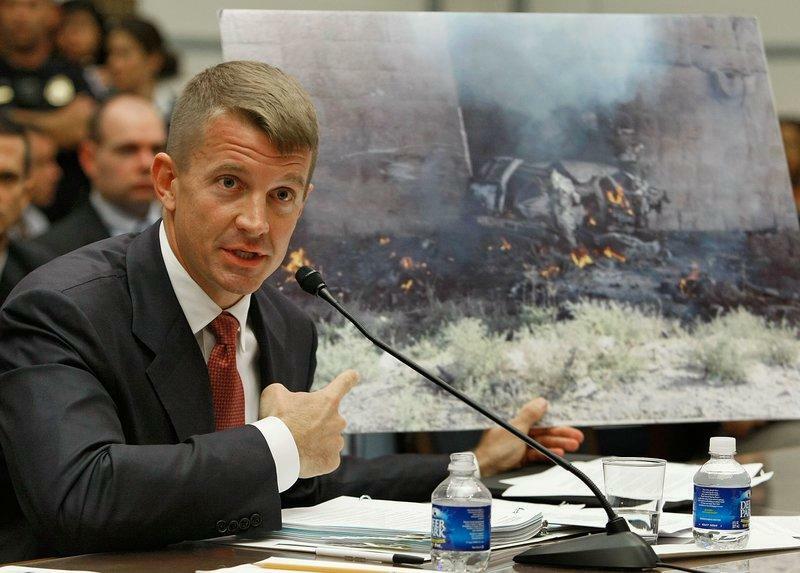 The group would receive active "target lists" through the UAE military chain of command while en route to Yemen. Interestingly the Saudi deputy intelligence chief Gen. Ahmed al-Assiri who's been identified in the latest NYT revelations as being involved in arranging an anti-Iranian assassination squad, was also at the time responsible for overseeing intelligence operations in Yemen, where the Saudi coalition is claiming to fight Iranian proxies (the Shia Houthi rebels). We can imagine that even if Nader and Zamel's plan never materialized as was originally envisioned, the moment Washington pulled out of the 2015 Iran nuclear deal (JCPOA) it was likely at that point open season in terms of these types of covert dirty tricks operations against the Islamic Republic. We can also only imagine what Iran's president and his generals must be thinking this morning as they open up the pages of the New York Times to find such a far ranging plan that had the intimate involvement of an Israeli businessman and top Saudi leaders to assassinate themselves detailed for all the world to see.